I am new here, hello! My name is Thomas, and I live in Stuttgart/Germany. I am 42 now. One of my biggest hobbies is James Bond location hunting, that means, since about 10 years I travel around the world to visit the filming locations from James Bond movies. Not only the well-known locations, but also some smaller secret ones. Usually I research the locations many hours at home with Google before the trip. I look for hundreds of pictures, videos, Google Street View, … The Bond locations I am interested in are often new, so nobody knows until now, that this is a movie location. It’s great to be the first location hunter there! 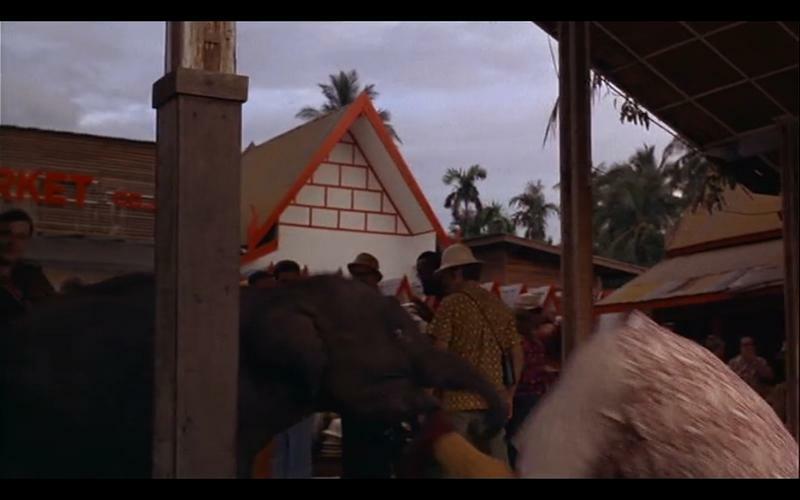 One James Bond location in Thailand is a big mystery! I searched nearly for years now at home, but with no result! Maybe someone here in this great forum have an idea! 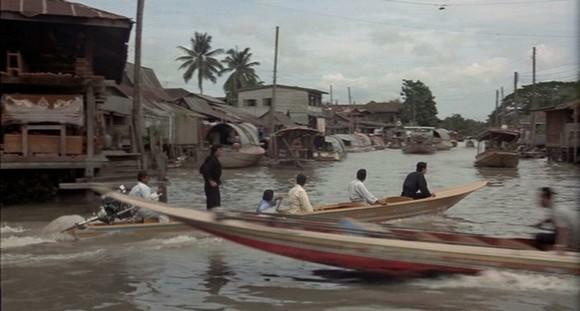 It's a special part of the khlong scene in "The Man With The Golden Gun" from 1974. 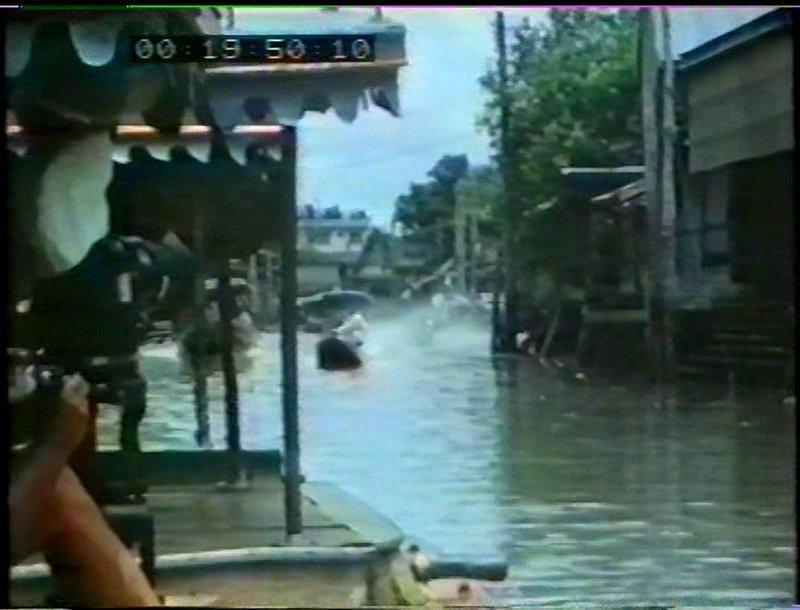 I found a lot of these khlong locations in Bangkok and visited some of them during 3 holidays there. between "Wat Paknam Phasi Chareon" in the north and "Wat Sai" in the south. But I could not find the following 2 scenes. I have no idea, where it could be. 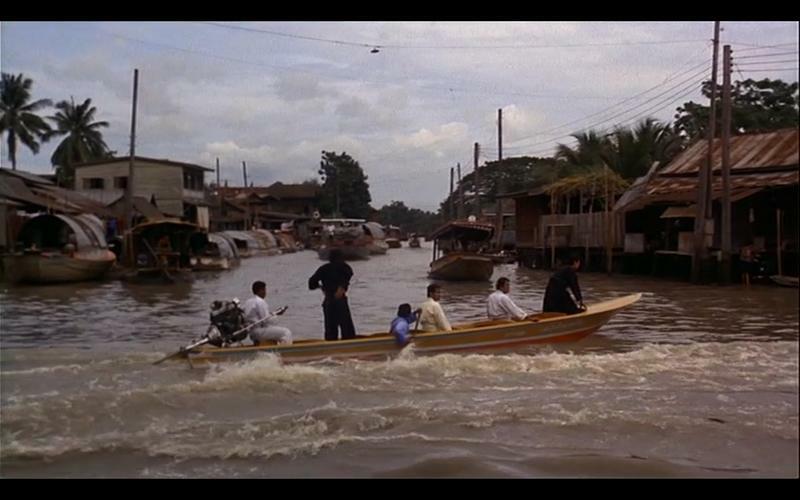 Please remember, it was 1974, so the area, where they filmed, could have changed a lot since all these years! 1. 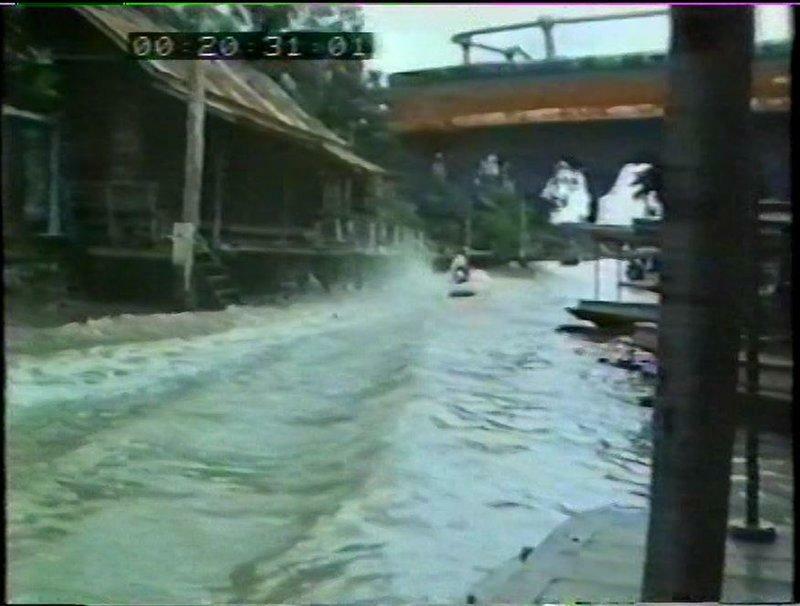 We see a tourist boat landing site at a small khlong and an adjacent tourist market with shops. 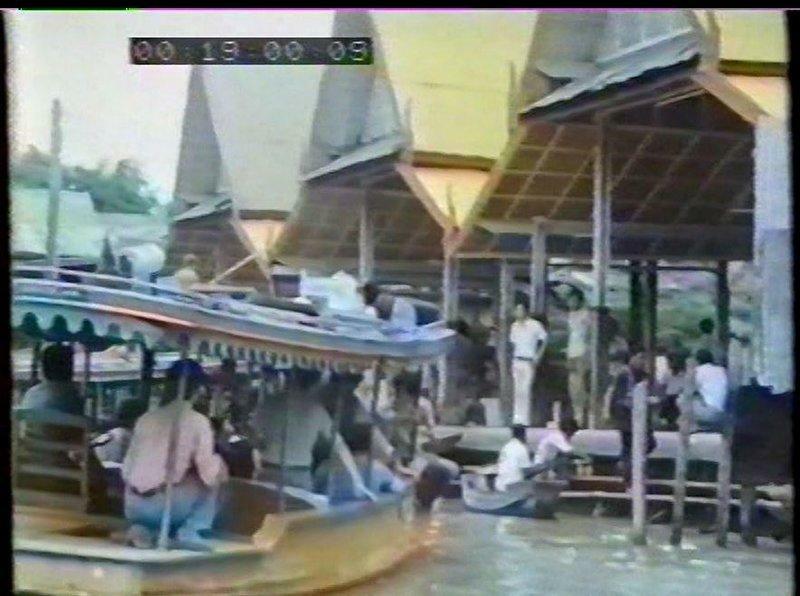 Many Bond location experts say, this is "Damnoen Saduak Floating Market", 100 km outside of Bangkok. 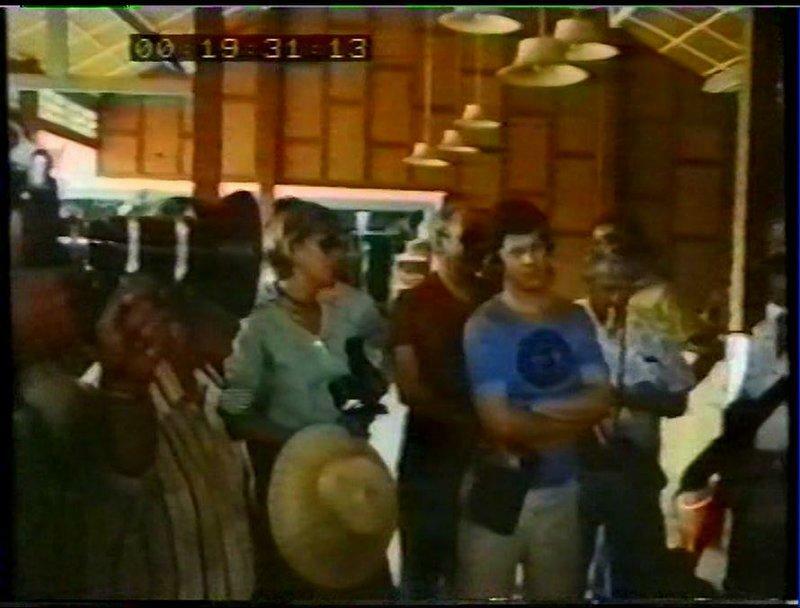 In my opinion it's not “Damnoen Saduak”, because I don't believe that it was a big tourist spot already in 1974 to take tourists 100 km from Bangkok there. 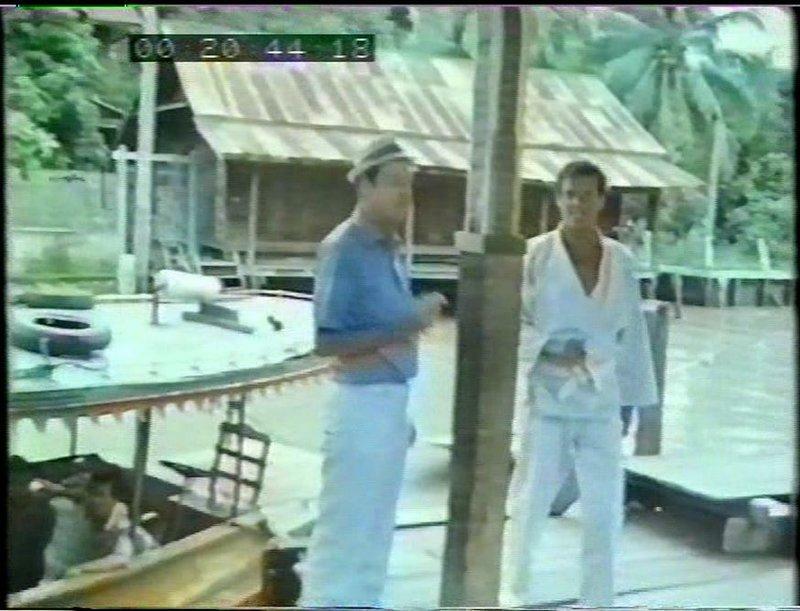 Another reason for me is, that it would have been difficult to carry all the filming crew and material this long way outside Bangkok for such a small scene. 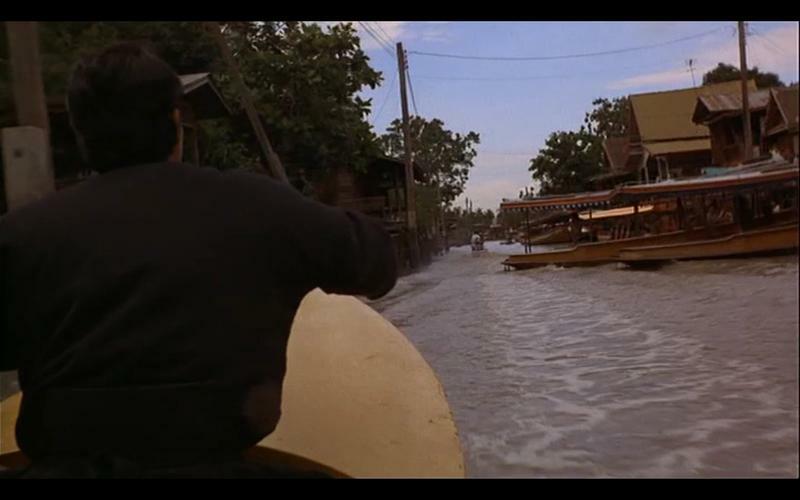 Third reason for me is, that the khlong in the movie looks smaller than in reality. In my opinion it's Bangkok - but where? What do You think? Where is it filmed? Someone remember this location? Someone has an idea? 2. Next scene is also unknown until now. The khlong is much bigger, so it should be a different location. It's a crossover of 2 khlongs. Any idea? Big thanks for Your help!!! May I ask You some detailed questions? 1. What is written on the boats in the first picture? Maybe this could help! 2. Damnoen Saduak is now a big tourist hotspot with hundreds of tourists each day. What about 1974? Was it already a destination for day trip tourists from Bangkok area? Or was it later? 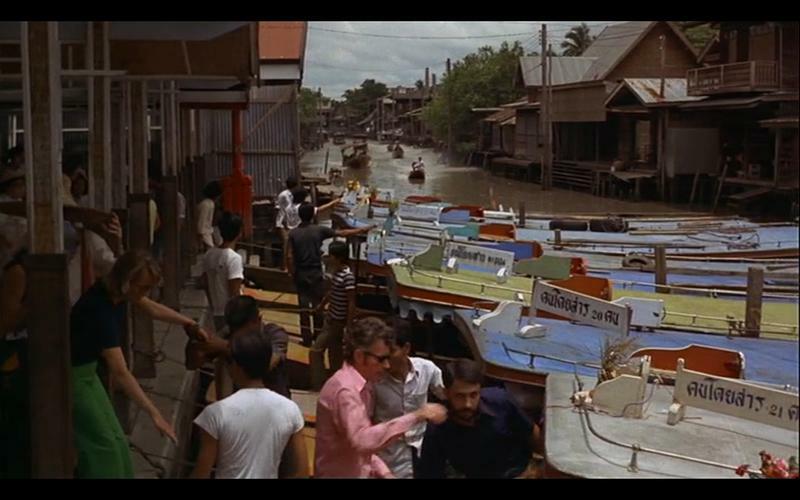 I did recognize a few streets, a few scene were shot in Sathorn and Rama 4 but you wouldn't know now. A few landmarks make the identification possible, but that's it. What a cool hobby! Good on you, sir. 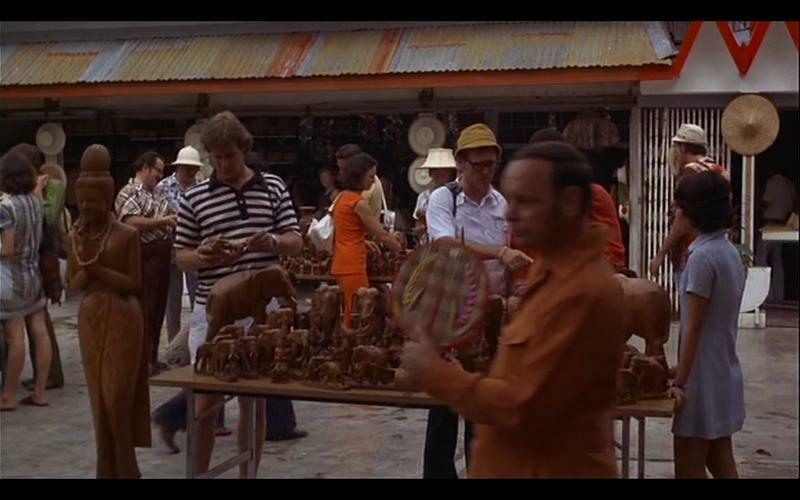 The only thing I could find which may help was that the market was established solely as a tourist trap. Damnoen Saduak Floating Market is the second type of floating market and was developed primarily for tourists to get a taste of the floating market culture in a short period of time. Fukked if I can be arsed to google translate it all. 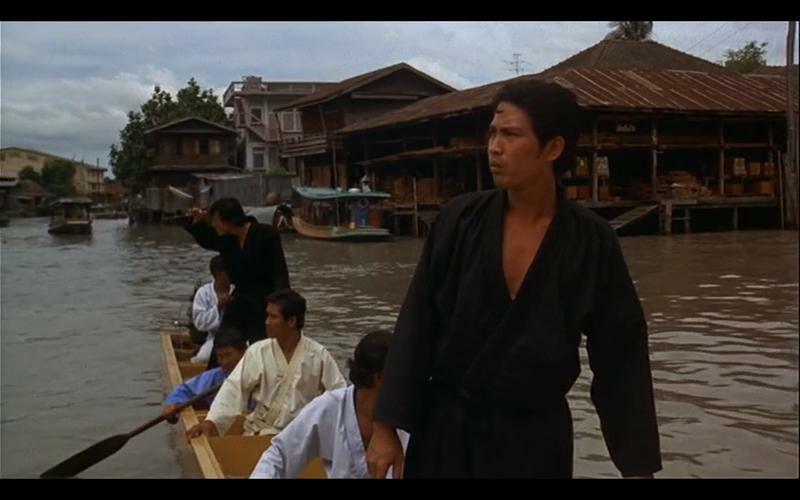 They are all on the Thonburi side of the river. None are on the Chao Praya. 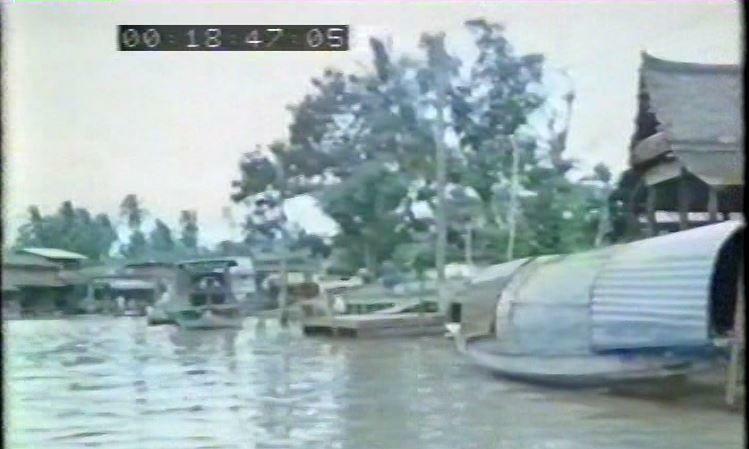 Back then I doubt they went as far as Nonthaburi province. 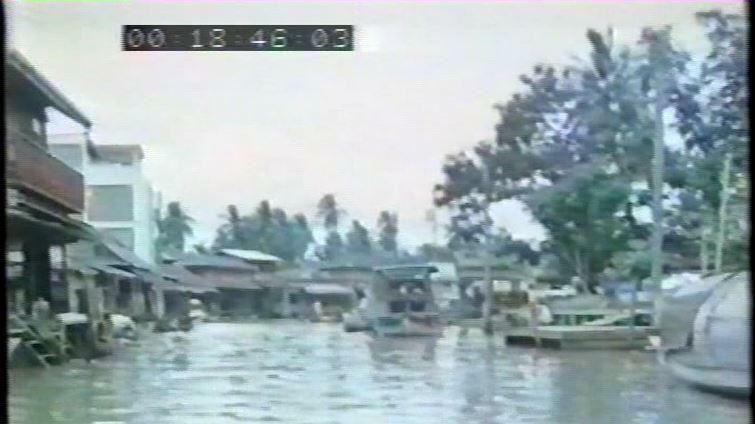 If this is the scene you are looking check out klongs or canals on that side of the river. It states the maximum number of passengers. ^^ you wouldn't see bond shoving a kid into a river these days. Yes. The closest boat says "21 passengers" and the one behind it says "20 passengers". Best bet would be to contact Pinewood Studios. They may even have a resident historian. Thanks to You all for Your response and help! 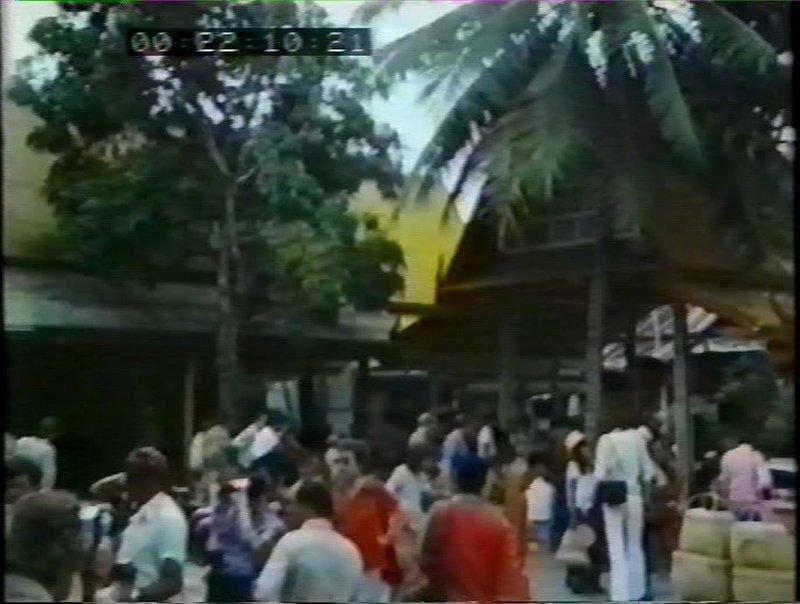 Found new pictures of the market location in a TV report from 1974! Maybe that helps to find the location? Disgraceful behavior for a gentlman. Okay, some more pictures. The TV team, who made the report about that movie location, passed some kind of a temple from the city center to to James Bond location. Anybody knows, where it is? 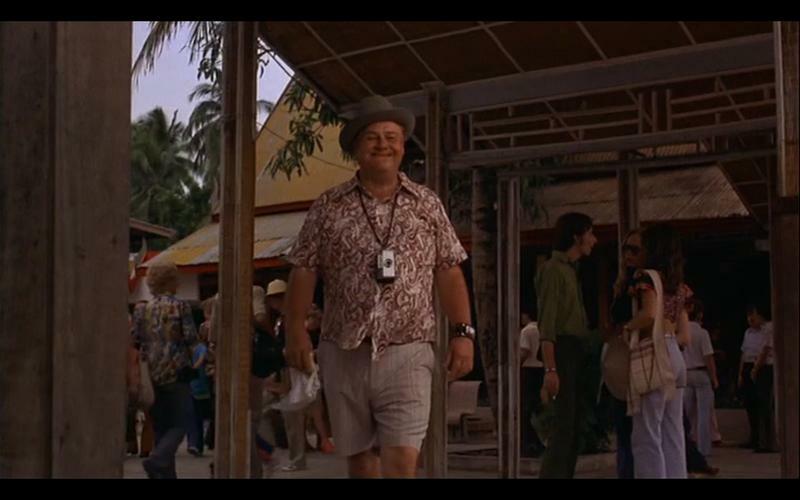 Have you got a picture of the temple? Or is it in your photos above? Are you gonna visit the location? I will work on the filming locations now from home. If I found all the missing spots I will go to Bangkok to visit the locations. That isn't a temple. And given its ramshackle wooden construction it will be long gone by now. 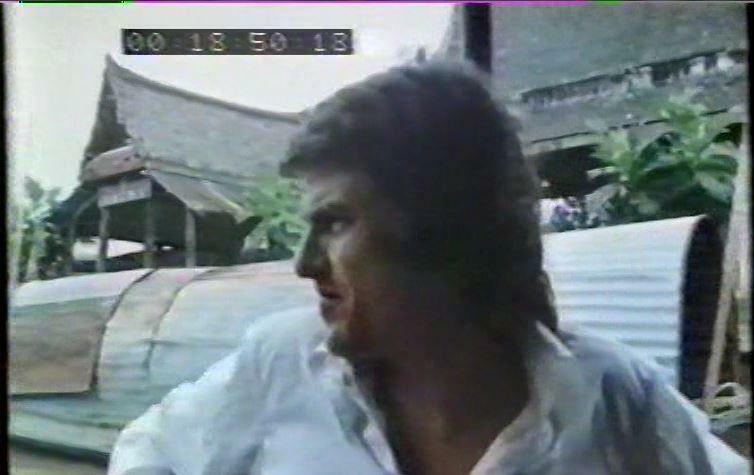 I read it that the film crew where in some sort of car transport to the location,and passed a Temple. That's correct though the Temple is not in the pics.